When trying to make sales and conversions at an exhibition, conversation with visitors will be your key to success. All the stands in the venue will be trying to sell to every visitor so you need to make a great sales pitch and conversation to catch their attention and stay in their mind after the show. Start the conversation by getting to know your visitor and what they do for a living, understand what problems they could encounter in their business and how you and your business could solve this. Thinking about what challenges they face in their work life could help you personalise your sales pitch and make it relevant to them. The key for the first half of your conversation is listening. Try not to use technical language when speaking to the visitors, use language they will understand when talking about both their business and your business. This is a great time to find out how they think your business could benefit them or address any concerns they may have with a service such as yours. By this point you have informed your visitors of how you can help solve their problem, so now it’s time to take the great opportunity to really sell your business to them. Think about clients who have had similar problems which you have solved with your service or a client where you have really gone above and beyond for amazing results. Showing them past successes and work will help to create a level of trust – that you do actually know what you’re doing. To aid this you could think about having some visual examples in a slide show or testimonials that people can see. Don’t finish a great conversation with a simple ‘thank you’, this is not the most efficient way to finish a conversation and although polite it is not guaranteed to help to get you a conversion. Give your prospects a call to action – what do you want them to do after the show? It could be call you up for more information, make an appointment to talk more, send you something via email or even just answer the phone when you call for them. End your conversation with the method you wish them to take, for example, you may end the conversation by saying ‘when is a good day to give you a call this week to talk about this more?’ – this is creating a conversion for you because they are giving you a time where you can call and try to make a sale. Another way to get that conversion is to give visitors an incentive to use your call to action. Using trade show exclusive discounts and vouchers is a great way of people getting in contact with you. For example, if you want people to call you, you might have the offer of if they call within that week they will receive 10% a service or product. 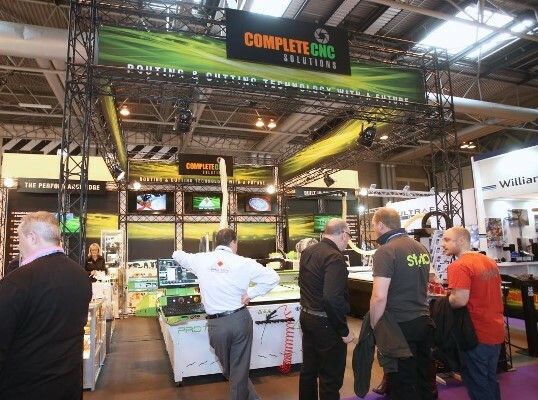 These are just a few ways you can make sure that your exhibition conversations are beneficial of your time and working towards those all-important conversions.